Jan. 2	Michael Leonhart. Son of renowned jazz bassist Jay Leonhart, Michael Leonhart made his first impact as a trumpet player. 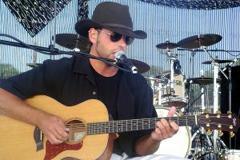 He has played with Steely Dan for ten years, and also toured with Lenny Kravitz. 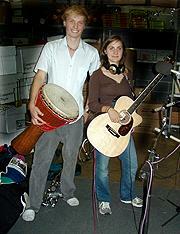 But he has moved into performing as a singer-songwriter multi-instrumentalist. His current CD The Ballad of Minton Quigley has been getting national attention for its distinctive mix of retro sounds and creative composing. 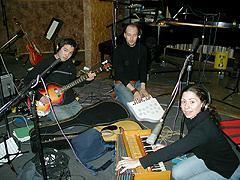 For his Homegrown Music debut, he performs in a mostly acoustic trio with an interesting complement of instruments such as Indian harmonium, exotic percussion and piano. The group includes his wife Jamie. The result is fascinating and thoroughly enjoyable music. Jan. 9	The Unteachable Men. 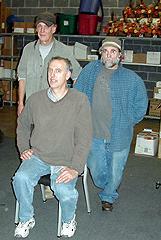 This trio from the Binghamton, NY area, is three fourths of a band that last appeared on Homegrown Music in 1991 called Trust. Composer/vocalist Peter Fuerst and his colleagues have reunited to create a new set of the intelligent, literate but quirky music for which Trust was known. Jan. 15	A Homegrown Music Live Concert with HANNAH BINGMAN and JONAH GREGORY. WVIA's monthly series of live two-hour concert broadcasts continues with performances by two outstanding young artists. Hannah Bingman is a talented singer-songwriter from Beaver Springs, PA, who first appeared on a Homegrown Music recording session in 2005. Her CD Right, Right Now, has been winning critical praise, and has been featured on Mixed Bag. She maked her Homegrown Music concert debut, joined by saxophonist Doug McMinn. Bluesman Jonah Gregory was the winner of the 2006 Billtown Blues Festival challenge, and will be traveling to Memphis to compete nationally on behalf of the region. A resident of the Williamsport area, Gregory performs both traditional acoustic blues as well and original compositions. Free audience seating is available by advance reservation by calling 570-655-2808. 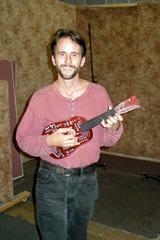 Tune in to Mixed Bag (M-F 8:00-10 PM) for updated information on performers or go to http://homegrownmusic.info. Jan. 16	Dave Isaacs Trio. Dave Isaacs is a versatile performer who was part of the acclaimed roots rock band Jackalope Junction, he also performs as an acoustic singer-songwriter, and has recorded an album of electric jazz-rock fusion. 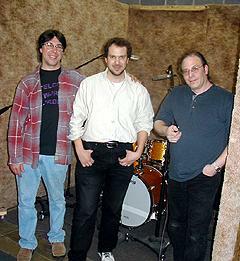 This session, from 2005, features Isaacs with an electric trio doing both instrumental music and blues-oriented original songs. Jan. 23	Smash Palace. 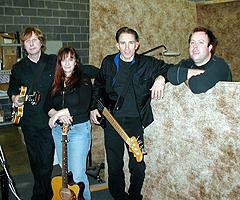 This Southeastern PA/NJ band has been together since the 1980s. Recently, they have found their blend of intelligent, melodic rock becoming surprisingly popular in England. They performed at the famous Cavern Club in Liverpool, where the Beatles got their start, and were promptly signed to a British label, which has released a collection of their music from the past seven years on both sides of the Atlantic. They make their Homegrown Music debut performing their first rate original music that combines echoes of the 1960s British Invasion with their own distinctive sound. Jan. 30	Tom Dennehy. One of more individualistic performers who is a regular on the series, Danville native and world traveler Tom Dennehy, has spent years living in exotic locations including India, Morocco, Spain and Japan, usually teaching English, and along the way, picking up fascinating cultural influence. He is also a very witty guy. He makes another visit home and again stopped in at WVIA to perform a new collection of his one-of-a-kind songs performed on ukuleles and guitar.